La Belle - The Beauty Boutique: Lash Perfect Russian Layering! 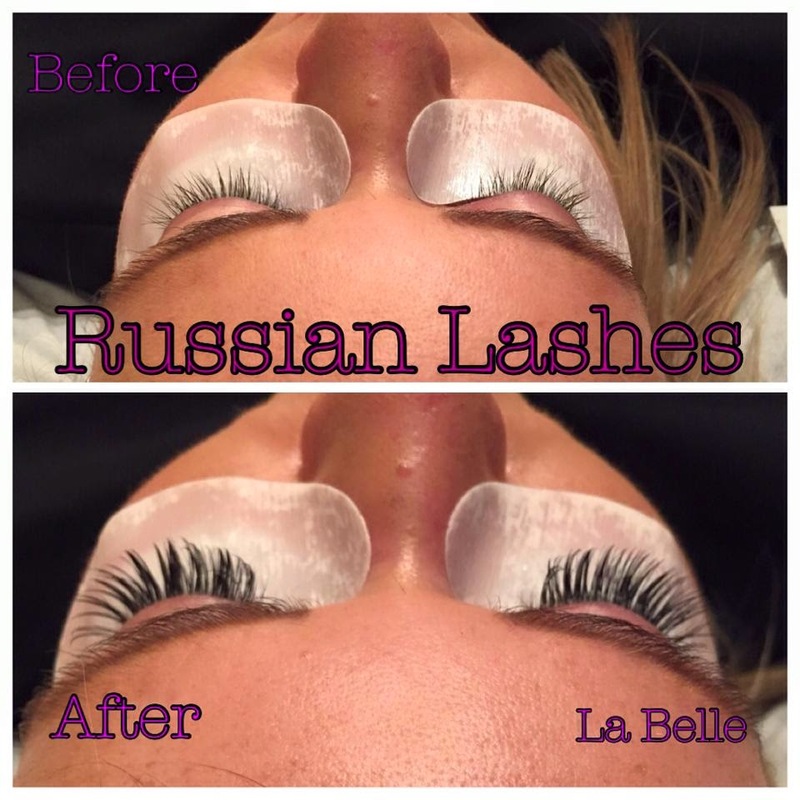 We are excited to now be offering Lash Perfect Russian Layering technique at La Belle! Russian layering technique also known as Russian Lashes, 3D or 6D Lashes originated in Russia and has recently made a breakthrough in the US and Europe. The technique involves applying multiple fine lashes onto one eyelash as oppose to the traditional eyelash extensions technique where you can only apply one lash onto each client’s own lash. Traditional eyelash extensions only have up to 100 lashes per eye but with the Russian Layering you can have up to 400 lashes per eye! This gives a fuller look, especially on clients who may not have many lashes of their own! The lashes used are ultra-fine and are incredibly soft to touch, they are weightless and in our opinion even more comfortable to wear then traditional eyelash extensions making them ideal for clients who have found eyelash extensions uncomfortable before. The great thing about the Russian Layering technique is that even though they are a little more expensive then traditional full sets of eyelash extensions you can go even longer with your maintenance, because there are so many more lashes you don’t notice as much when some fall so clients out so clients can usually go 3-4 weeks for maintenance as oppose to 1-2 weeks! The main benefit of Russian Layering if that it gives clients a full, high impact glamorous look with maximum natural looking volume. What is Environ and is it right for me?